Powerful and easy to integrate in your trading strategies, SmartForecast & SmartPattern offer you a comprehensive overview of market trends. 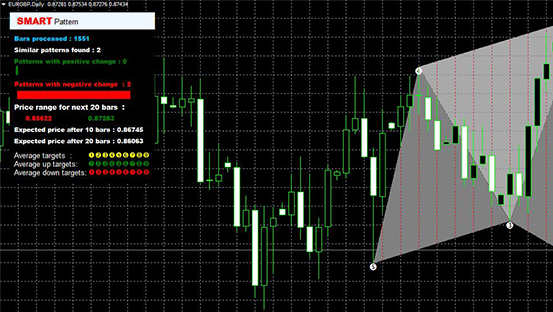 This is one of the most advanced technical analysis tools available in MetaTrader4. 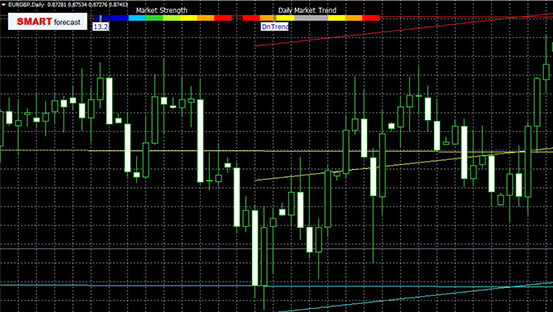 Bringing together chart retracements and market trend analysis, this indicator offers a simple overview of markets. SmartForecast automatically calculates both short and long-term resistance and support. It also indicates volatility levels and market trends. Particularly important, however, is that it gives you a price evolution scenario with three targets which change in real time. SmartPattern is a powerful indicator for the MetaTrader 4 and MetaTrader 5 platforms exclusively available for ActivTrades Live clients. This amazing tool automatically detects chart patterns, scans historical data to find recurrences, and generates detailed statistics about potential upcoming market movements. All data can be easily and clearly identified on your charts, helping you save time and highlighting trade opportunities that may otherwise be missed.